"An increase in gas prices is a guarantee of continued fundraising in international markets." 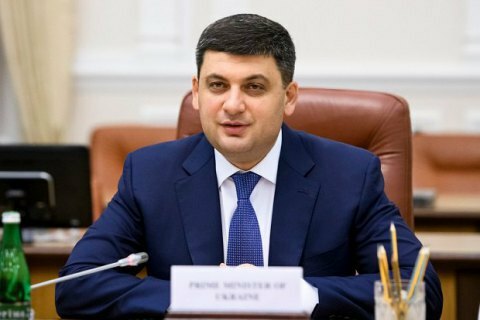 Prime Minister Volodymyr Groysman has said at a briefing in Lutsk that Ukraine recognizes its commitment to raise gas prices. "The issue of raising gas prices is very difficult. You know that there is a commitment that gas prices will increase if international gas prices go up. I have been containing this situation for a year now… However, the issue of the next increase is on the agenda," he said. He recalled that an increase in the gas price, which is now set at 6.9 hryvnyas per cu.m., is a guarantee of continued fundraising in international markets. "This demand has emerged because we need to work with foreign borrowings," he explained. Ukraine has been locked in difficult negotiations with the IMF concerning the price of gas since July 2017. The IMF insists Kyiv should raise the price for households, which, according to various estimates, could make from 30% to 60% due to price hikes in international markets. Previously, the prime minister insisted a steep increase would be unwarranted. The IMF mission will be working in Kyiv from 6 to 19 September.